Baby christening gifts can quickly become treasured keepsakes. Christening gifts can be one-of-a-kind handmade items or more generic presents. 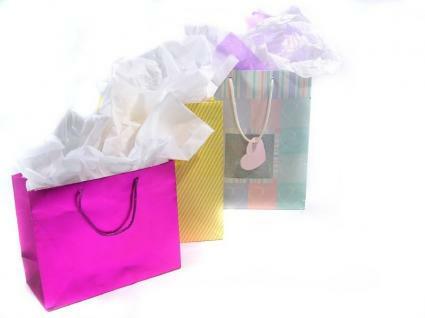 Many people choose gifts that offer a more personal message as well. What Happens at a Lutheran Baptism? Whatever gift you choose, consider getting it engraved to make it more personalized. In addition to the solemn token that will be more appreciated by your godchild later in life, it's a nice gesture for godparents to give a childlike gift as well. A soft plush lamb and a book of children's prayers that can be read later are good choices for a baby. For family and friends who are not involved in the ceremony but are invited to the christening party, there is a little more room to think outside the box when it comes to gift giving. Traditionally, people give religious gifts to mark the occasion, but that's no longer a hard and fast rule. Religious or nonreligious, there are plenty of great christening gift ideas out there. Children's Bible: For an extra special touch, have the Bible inscribed with the child's name. Crystal cross: When purchased as a figurine, crosses become treasured heirlooms. St. Christopher medal: A St. Christopher medal is the perfect choice for a baby boy or baby girl. Disney stock: You can purchase bona fide Walt Disney stock, a share at a time, as a great gift that will continue to give far into the future. The stock certificates come decorated with favorite Disney characters and make a truly unique gift. Savings bonds: These bonds may not be exciting to a child when she first receives them, but wait until she cashes them in before she heads off to college! Baptismal blanket: Get a special blanket made for the child that includes a favorite children's character or simply his initials. Silver rattles, utensils, or cups: Make these gifts extra special by having them engraved with the child's name and date of the christening. A baby's christening is a special event for family and friends. The gift you choose can easily become a treasured keepsake, so don't be afraid to get creative as you search for that perfect item to commemorate this special day.